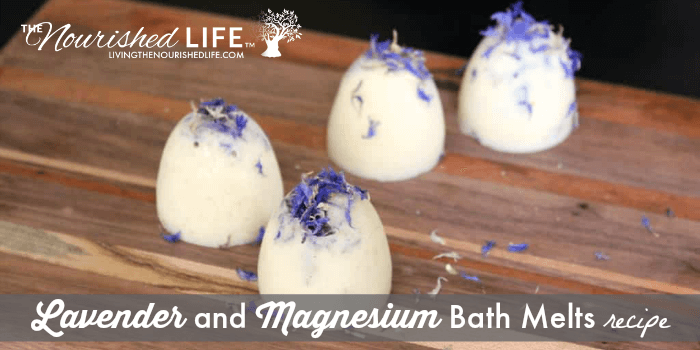 I created this simple three-ingredient lavender and magnesium bath melts recipe that not only feels incredibly luxurious and help you relax in your bath, but they are also easy and affordable to make. 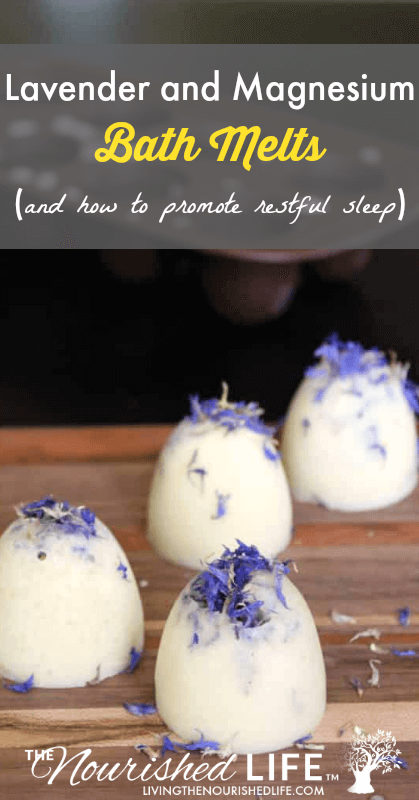 Let’s also discuss how to promote a restful sleep and how these bath melts can help. There are a lot of factors that prohibit a good night’s rest. Stress, anxiety, health issues and even overuse of electronic devices – or blue light – can all make falling asleep difficult. Even if you can fall asleep right away, achieving a quality night’s sleep can often be just as challenging. Most of us probably worry to some extent about bills, our jobs, and our family. Sometimes, the uncertainty we are going through keeps our minds from relaxing. So sleep evades us. Or, when we do finally fall asleep, it tends to be restless. While we can’t always resolve the everyday stress we’re assaulted with, there are changes we can make to counteract them in order to get a good night’s sleep regardless. Following are just some of the ways to promote restful sleep. Exercise daily or do what you can to stay as active as possible. Walking laps on your lunch break is a great way to sneak in a little exercise regardless of a busy schedule. Put away those tablets, cell phones and computers at least two hours before bed. These electronics emit blue light which has been proven to interfere with our sleep cycles. You may also want to consider watching your favorite television show the following day rather than right before bedtime. Spend some time in the sun. Increasing bright light exposure to as little as two hours during the day has been shown to both improve sleep quality and its duration by 80%. Avoid consuming caffeinated beverages. And yes, I know sometimes we can’t resist that cup of coffee when treating ourselves to a rare dessert. So if this is a must, opt for decaf instead. You can also decaffeinate your favorite tea by simply brewing it twice. Simply discard the first cup and drink the second. Keep a consistent schedule. Whenever possible, do your best to go to bed and and wake up at the same times each day. If you find you need a nap during the day, limit your nap to no more than 30 minutes. Avoid drinking alcohol or eating meals before bed. Both of these things can disrupt sleep patterns and reduce nighttime melatonin production. Additionally, eating late can cause a hormone disruption that interferes with a good night’s sleep. And yet, even if you are doing all of these things, sometimes getting to sleep and staying asleep can remain a challenge. What then? Supplements such as melatonin can help us get over the hump when we just can’t seem to sleep through the night. Sometimes however, the inability to get a restful night’s sleep is due to a deficiency in our bodies. Therefore eating healthy and ensuring we are getting all necessary vitamins, minerals and nutrients our bodies need is key. Stress and anxiety are the biggest issues preventing me from getting a restful night’s sleep on a consistent basis. However, there is one supplement that I take consistently that actually helps with both my pain and a restful sleep. It is magnesium. Not only does magnesium help with stress and an overall sense of calm, but it also helps to promote a restful sleep. For many people, magnesium can has been shown to actually relieve insomnia. And because it also relaxes your muscles, magnesium can aid in that overall sleepy feeling we like to have right before going to bed. Many of us are deficient in magnesium. Luckily, there are a number of ways to counteract that deficiency. Diet and supplements are obvious ways to increase your body’s levels of magnesium. (You can read more on that here.) However, you can also increase your magnesium levels through skin absorption. I’ve discovered that an increased intake of magnesium is beneficial for me. 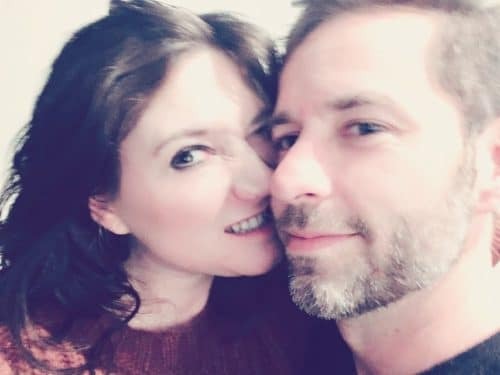 So in addition to eating healthy and taking magnesium supplements, I also use products that help me absorb magnesium topically. I use a natural magnesium based deodorant daily. I also enjoy taking Epsom salt baths. Learn more about Epsom salts here. Taking a warm bath with Epsom salt or magnesium chloride flakes before bed is a wonderful way to wind down. Both Epsom salt and magnesium chloride flakes are naturally rich in magnesium and are water soluble. Therefore, combining a warm bath with either of these salts before bed is another wonderful way to promote sleep. However, I’m not one to enjoy just a straightforward Epsom salt bath without adding something to give it more spa-like experience. I love using these Lavender and Magnesium Bath Melts in my bath to spoil and nourish my skin. The Sal butter in these bath melts is an amazing natural moisturizer, and helps make my skin smooth both in and out of the tub (just be careful, because these bath melts can make the bottom of your tub slippery). The lavender essential oil also helps promote relaxation and it makes these bath melts smell heavenly. Need some more relaxing bath recipe inspiration? 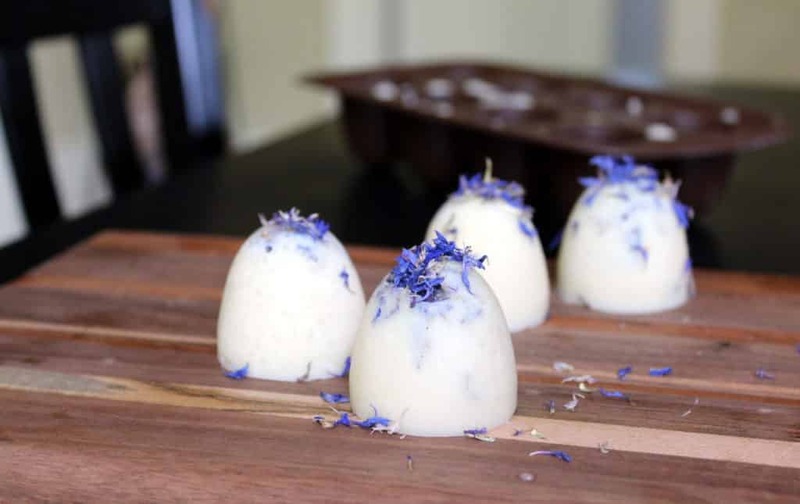 Check out these recipes: Lavender and Chamomile Bath Bombs Recipe, Chamomile Bath Salts Recipe, and Homemade Sea Bath Recipe. Using a digital scale weigh out the sal butter into a double boiler. Heat until just until melted. Then remove from heat and stir by hand until the butter is thick and creamy. Weigh out the Epsom salt and add it to the semi-melted sal butter. Mix well to thoroughly incorporate the salt throughout the sal butter. Add the lavender essential oil and stir the essential oil into the bath melts mixture. Using the cutting board for transport, place the mold with the bath melts mixture into your refrigerator. Once the bath melts have hardened, remove your bath melts from the refrigerator. Push the bath melts out of the mold, then store in a cool, dry location until ready to use. To use your lavender and magnesium bath melts, simply add two or three bath melts to a warm bath as desired and enjoy!